Washington State Boating Under the Influence law prohibits people from operating a vessel while under the influence of intoxicating liquor, marijuana, or any drug. As of July, 2013, our law makes BUIs gross misdemeanors. BUIs are punishable by a maximum of 364 days in jail and a maximum fine of $5,000. Boating under the influence penalties are lower than they are for driving under the influence. Nonetheless, boating under the influence penalties are still serious and you should consult with a BUI lawyer in Seattle. were under the combined influence of or affected by intoxicating liquor, marijuana, and any drug. Please also see RCW 79A.60.040. Law enforcement officers may conduct field sobriety tests when “circumstances permit.” These are the same field sobriety tests conducted in DUI cases. The field sobriety tests are designed to assess your balance and coordination. These tests are difficult to perform even on solid ground. Clearly, they would be problematic when performed on a boat in the water. A good Washington State BUI attorney will be able to challenge the validity of field sobriety tests performed under these conditions. A good boating under the influence attorney will challenge them on the basis that any lack of balance could be attributed to the movement of the boat, rather than the influence of alcohol. Boating under the influence penalties are not as severe as those of driving under the influence. Nonetheless, boating under the influence penalties are still very severe. The consequences of refusing to submit to a blood or breath test that apply to the driver of a motor vehicle do not apply to the operator of a vessel. However, unlike in cases of DUI, a refusal to submit to testing by a vessel operator is a civil infraction and is punishable by up to $1,000 fine. Boating under the influence penalties are not as severe as they are for driving under the influence. Unlike DUI, a BUI conviction does not result in revocation or suspension of your license. However, if you have a boating insurance, your insurance company may raise your premiums or cancel your insurance. As of July, 2013, boating under the influence is now a gross misdemeanor rather than a misdemeanor and is punishable by up to 364 days in jail and a $5,000 fine. This means that the boating under the influence penalties are more severe now than they were before. If you refuse to submit to a breath or blood test, the refusal will constitute an infraction, punishable by the maximum amount of $1,000. Unlike DUI convictions, a BUI conviction does not result in revocation or suspension of your license. Of course there are other consequences that are likely to result from a BUI. For example, if you have a boating insurance, the insurance company may raise the person’s premiums or cancel the person’s insurance. For information about Drunk Driving, please visit our home page. 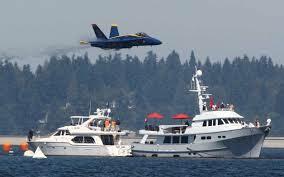 We handle Boating Under the Influence in Bellevue, Kirkland, Mercer Island, Renton, and Kent.